This Friday afternoon, music with sea motives awaits for you. 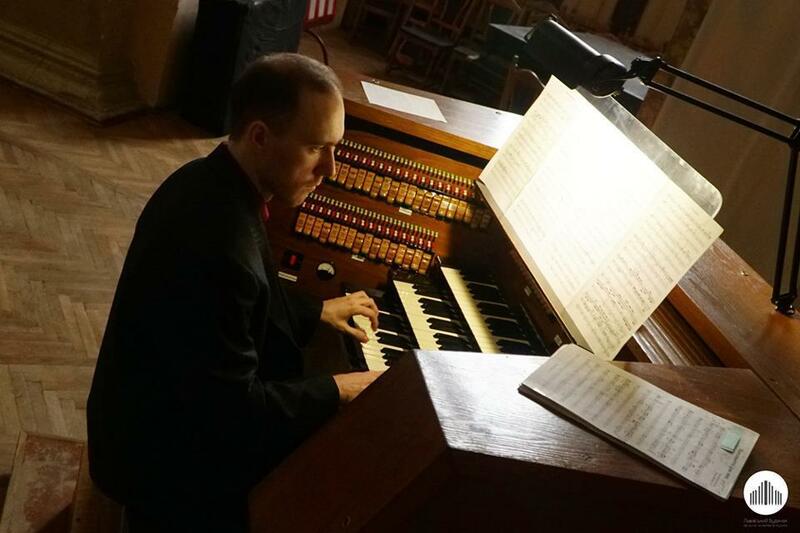 The organist from Kiev Bohdan Demianenko will perform part of the Rimsky-Korsakov's Scheherazade, Handel's Music on the Water, Nesbitt's Hebridian Sketches, and the "Dorian" toccata by Bach. Bohdan Demianenko actively concerts as an organist since 2009 (Kyiv, Kharkiv, Rivne, Lviv, Fastiv, Uberlingen). 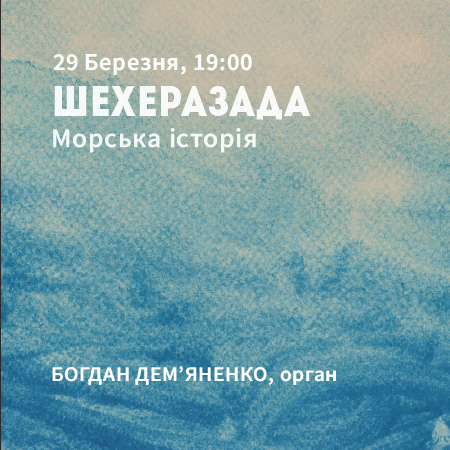 He also restores the organ of the Opera Studio of the National Musical Academy in Kyiv, writes his own works and explores Ukrainian Baroque music. He wrote more than a dozen scientific articles, orchestra, ensemble, organ, choral, vocal, piano pieces. He is the winner of the special award from the Karabits family and Lyudmila Kaverina Prize as a musicologist. He graduated from the magistracy and postgraduate of the National Musical Academy named after P. Tchaikovsky.